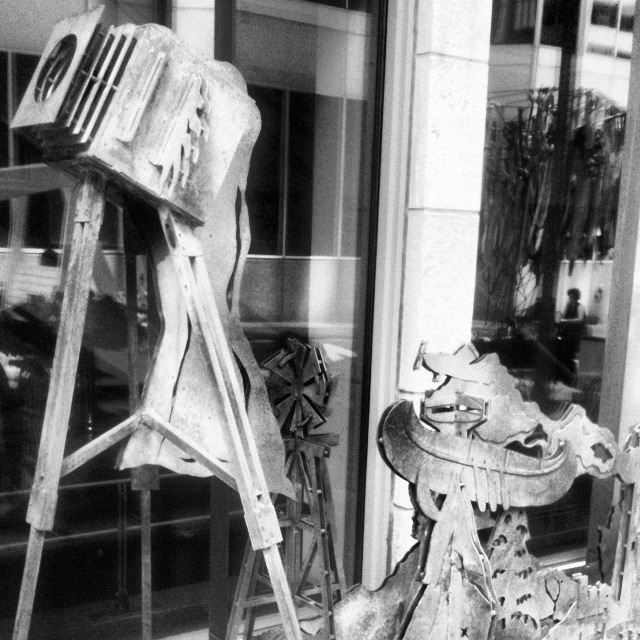 I’ve always loved taking pictures, ever since I was a kid I suppose. My camera equipment slowly evolved from a disposable to a RAZR phone, finally culminating in my iphone (3GS). Of course, my phone doesn’t have flash, and while I am currently on order for an iphone 5 that will correct this issue, I needed to do something in the interim. I’d turned my nose up to the increasingly popular “Instagram” app. I mean, I was already on Facebook and Twitter (and Myspace I guess), what did I need another social network for, especially one that was just pictures ?! Of course, since I genuinely love taking pictures and soon discovered I could enhance my own with Instagrams’ artificial flash, I decided to dip my toes into the pool. Instagram has since become arguably my favourite app / social network (sorry Myspace) and has helped me get the best out of some (in my humble opinion) very nice pictures. This is one of my two cats, Smokey Robinson. 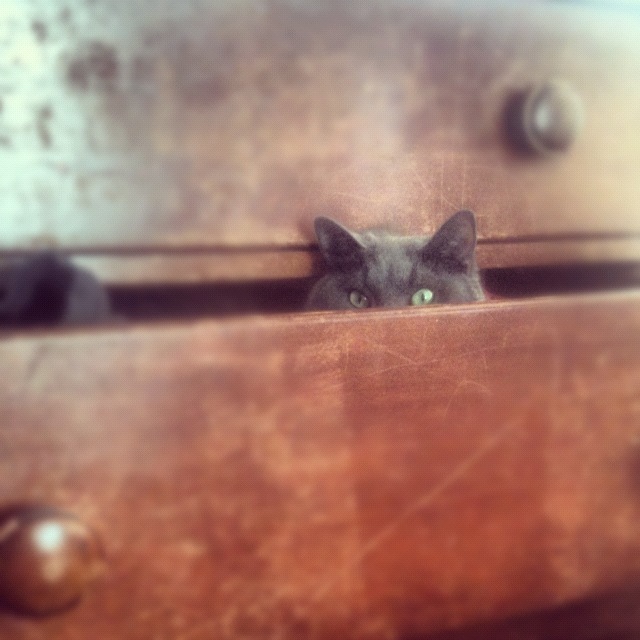 He’s a big fan of getting into drawers, especially my roommates’ (who is allergic to cats) dresser drawer. Rather than get him out of the drawer, potentially saving my roommate from an allergic reaction, I decided to snap this picture. I’m sure you’ll agree I made the right choice. My girlfriends parents own a 100 acre farm just outside of Ottawa. 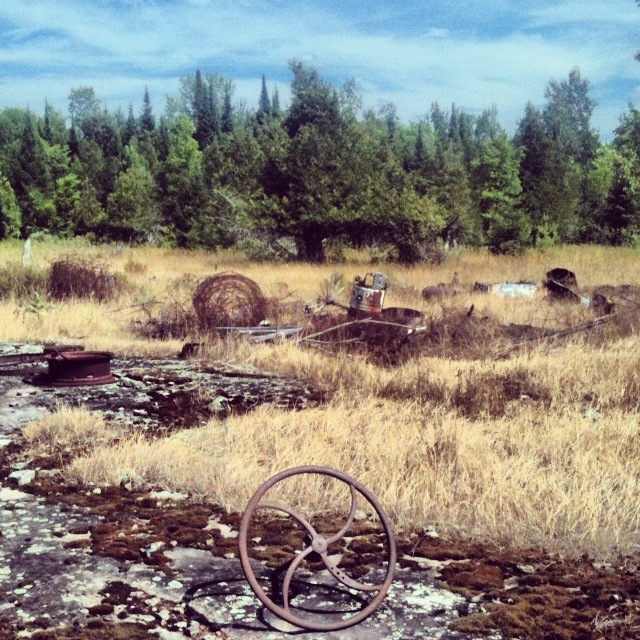 She had told me about an “Auto Graveyard” that was back in the bush there, something I was determined to see for myself. 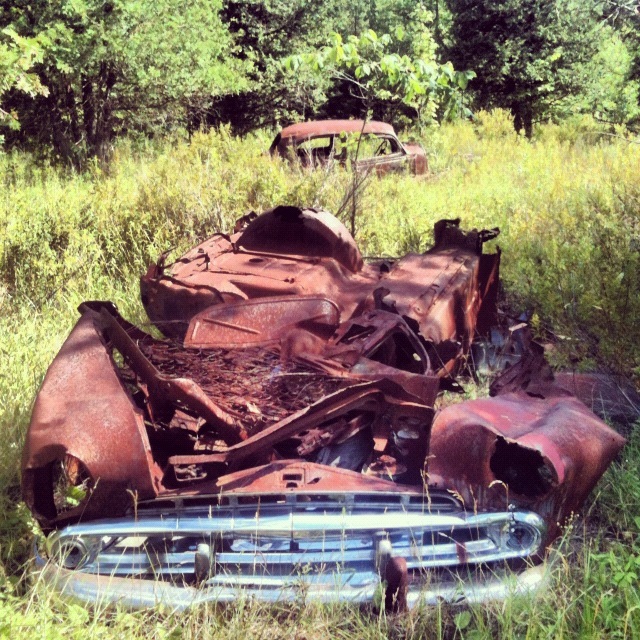 I snapped this in the main field before actually finding the decrepit cars. I really liked the look of it all, especially the olde time wheel in the front. Speaking of, these are the two ghosts of cars past that currently inhabit part of this mechanical graveyard. I was so excited to see and document these old relics, there’s just something about old cars and graveyards that I find intriguing I suppose. This was taken on a recent trip to Montreal that I took with one of my brothers. There was something classy and iconic about it, I just couldn’t take it in anything other than black and white. Arguably the best shot I’ve been lucky enough to capture, I got this at a trip to my best friends’ families’ cottage near North Bay. 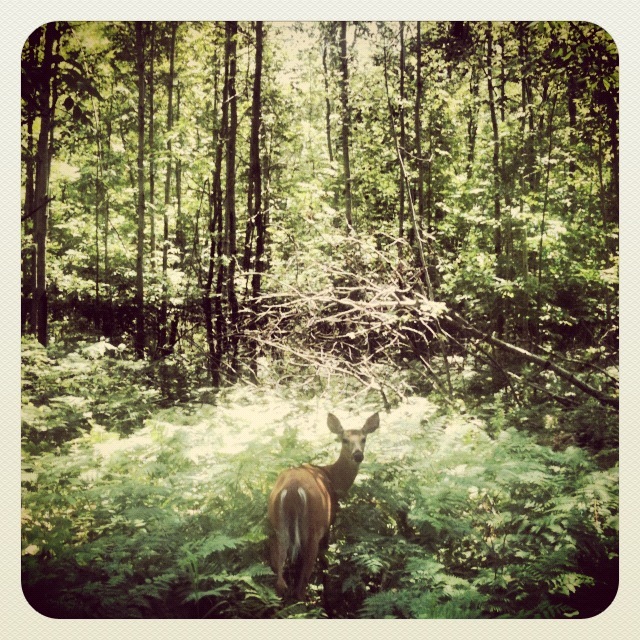 We were driving slowly through the woods and he spotted this deer. I couldn’t believe it. We were stopped about 10 feet away from it as it just stood there staring at us for just long enough, allowing me to snap this gem (which my girlfriend later printed out on photo paper and framed for me). Just gorgeous. This entry was posted in Pictures and tagged 2012, beautiful, camera, cars, Cats, deer, drawers, dresser, farm, film, gorgeous, graveyard, instagram, iphone, ottawa, photos, pics, Pictures, random, shot, snap, tango, trees by lazron. Bookmark the permalink.